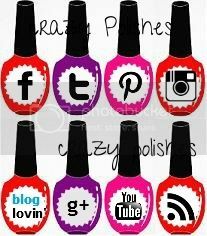 Crazy Polishes - nail arts, swatches, reviews Crazy Polishes: Happy New Year!!! I hope you all are having great holidays. This is my last post for this year. 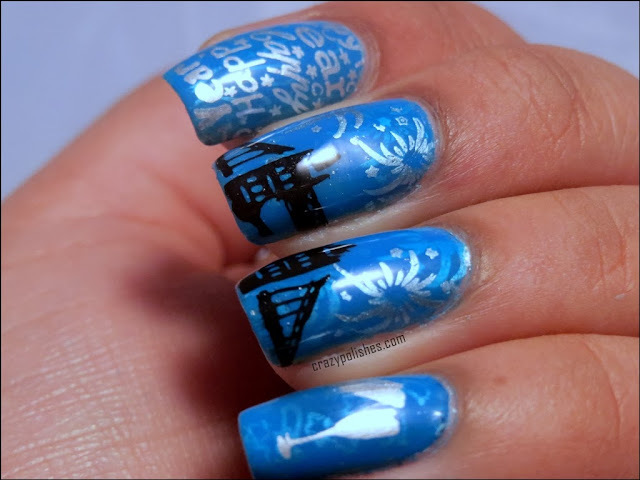 I had a wonderful year, with lots of new polishes, stamping plates and lovely new friends. 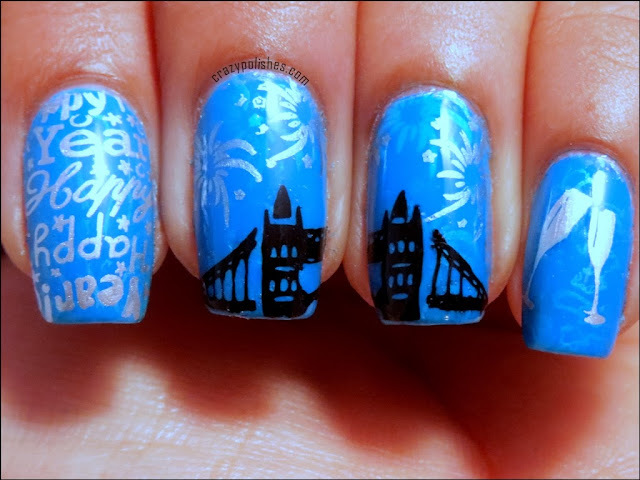 I have a New Year theme manicure to share with you all today. 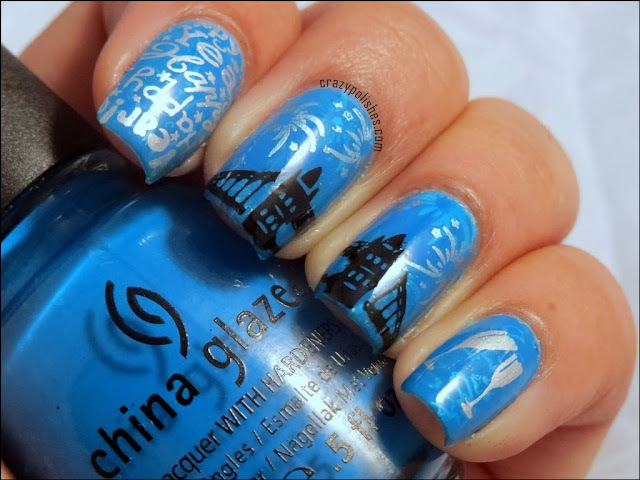 This manicure is a mix of regular stamping and stamping decals and for the first time i did stamping sandwich. For base i mixed few drops of China Glaze Hanging in Balance to a clear polish to make it gelly-ish for the sandwich. 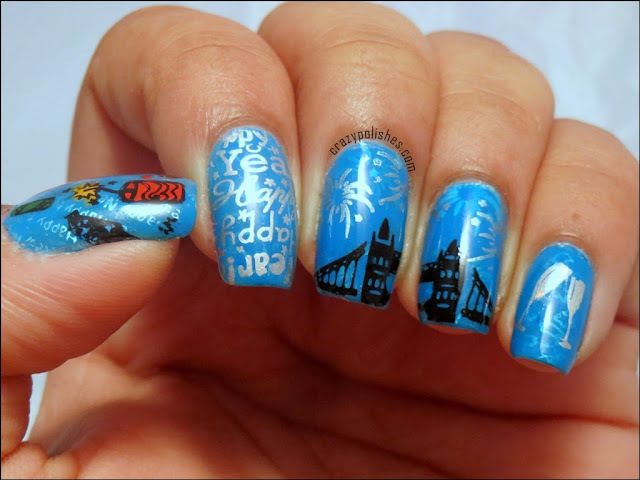 I used Chekky 2013 Jumbo Happy Holidays, Nailways Snow-White New Year and Moyou Tourist Collection 01stamping plates.NYC aqua mystic, Barry m silver foil and Moyou nails black as stamping polishes. Hope you like this manicure.What are your plan for tonite?? A Very Happy New Year !!!! !